Now you can promote your Lake Michigan home, cottage or land listings for sale directly to Lake Michigan property buyers on our top-ranked LakeMichigan-RealEstate.com website. 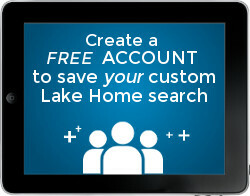 There are four ways to list your Lake Michigan home or land on our website. Choose a package below and follow the given instructions. And as always, feel free to contact us with any questions, comments or concerns! Property listings are interchangeable and multiple listings can be allocated among more than one of the Michigan Lifestyle Properties websites. Inquiries are sent directly to you. Get started with advertising here or contact us. Contact us to discuss co-listing your property listing. Working as a team can be a powerful combination. We can take the lead on marketing — leveraging all the resources available from Michigan Lifestyle Properties, United Country, third party websites, and more — and you can take the lead on local marketing and coordinating property showings. Call us at 800-413-1016 or Click here to send a confidential e-mail. Take advantage of this prime spot on our highly-ranked website, with a direct link back to the property listing. The property listing is interchangeable. Click here to get started. Want More? Do You Specialize in one or more Lifestyle Property Types? If you’re an agent or a broker/owner, and you specialize in working with buyers and sellers of one or more ‘lifestyle’ property types, consider joining Michigan Lifestyle Properties as an agent or branch office, and differentiate you and your business in your local market. Visit JoinMLP.com for more information. Choose to list your property for sale on our site. Get started with advertising here or contact us. Take advantage of this prime spot on our highly-ranked website, with a direct link back to your property listing. Click here to get started. If you’re not sure which direction to head with your property and you’d like to discuss other options, we’d like to hear from you. Call us at 800-413-1016 or Click here to send a confidential e-mail.